Backyard and agricultural burning is allowed until around July 1st and will resume when rain returns consistently in late September/October. Start your fires early in the day so that they are out by dark and always call to make sure burning is allowed (503-695-2225). Predicted wind speed is primarily the deciding factor on whether it’s a burn day or not. If the weather forecast is wrong and our message says it’s ok to burn but its windy out, please do us a favor and wait for a better day. Smoke alarms are your very best bet to protect you and your loved ones in the event of a residential fire. We unfortunately had a fire death in the District this past December. This is our second civilian fire death in the last 4 years. Be smart, be safe; have a working smoke alarm on every level of your home and in every sleeping room. Firefighters looking for rental housing. If you own or manage residential rental property in the District, please consider calling us when a rental becomes available. Many times we have firefighters looking for rental property. 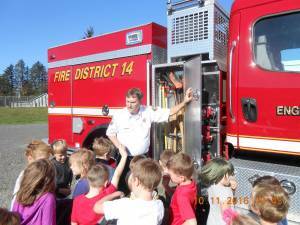 One of our requirements to be a volunteer firefighter is that you must live within the District. We hate to lose well qualified, highly trained firefighters because they can’t find a place to live. Congratulations! On May 6th, 5 of our firefighters successfully completed their state certification testing for Intermediate Emergency Medical Technician. This certification adds significantly to our ability to help you in the event of a medical emergency. Congratulations to Duane Redfield, Rick Wunsch, Seth Grover, Tim Downing and Robbie Russell! A special thanks to Tessie Adams for teaching this class. New Recruits – All 8 of our new recruits received their pagers and are now responding on emergency calls. This brings our number of volunteers to 32. We will be conducting another firefighter recruit academy beginning in the fall. 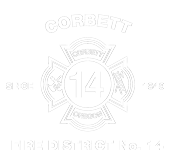 If you’ve ever thought about being a volunteer firefighter and would like to know more, don’t hesitate to contact me personally at 503-803-5244. We will also be having a recruit open house in July, applications are due by August 1st. We appreciate their many years of hard work and service to our community. All 6 will be greatly missed.